We’ve just spent the last 2 weeks in the Bordeaux region. 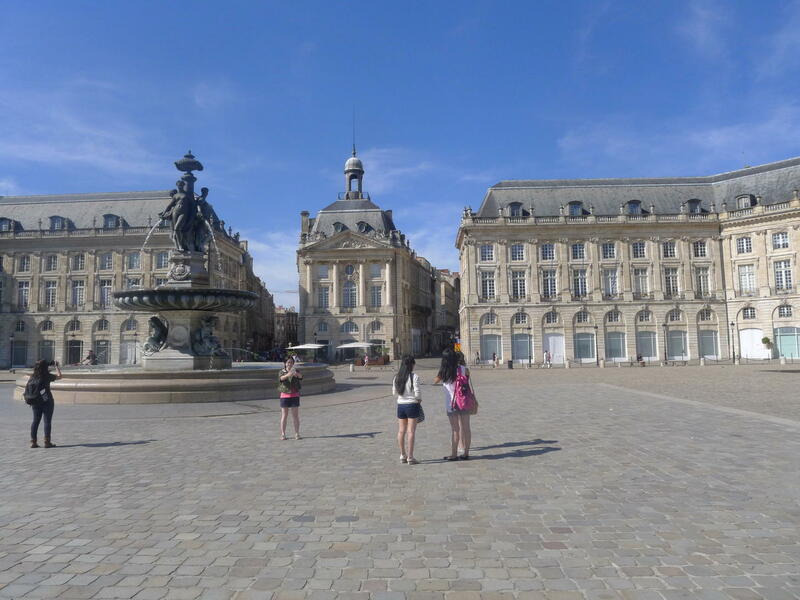 Starting in St Emlion, we tasted and sipped and tippled and drank nothing but Bordeaux for a fortnight. Suddenly everything I learnt in wine school came alive amongst the vignobles of this amazing region. Situated on the right bank of the Gironde estuary, St Emilion is a beautiful medieval town built into a hill, complete with an underground church dug into the cliff. It’s surrounded by grand cru vineyards growing their famous merlot grapes along with a smidgeon of cabernet franc and cabernet sauvignon. We had little knowledge of right bank wines, so set out to educate ourselves in good style. 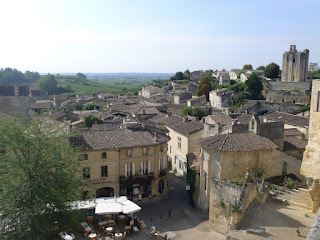 Starting with a Grand Cru Classé, we worked our way right through to the generic St Emilions and the neighbouring Montagne St Emilion. We were blown away by what they do with the merlot grape here, simply stunning wines, with high level ones having an ability to age for many, many years. We also bought a variety to drink from a splurging Grand Cru Classé down to Montagne for €7.80!! Each night we’d barbeque something delicious and had the luxury of deciding which fabulous wine to drink. We made the decision not to spend our dollars on eating out, but on buying really good wine and eating cheaply (but well!). The weather was really warm, making eating ‘al fresco’ each night quite lovely. 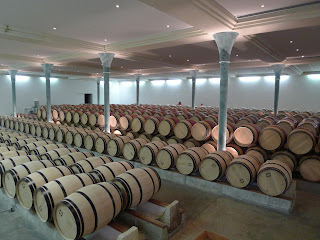 Our favourite was ‘St Andreaus’ St Emilion Grand Cru 2000 – a spectacular wine. I also started writing up serious wine notes in my wine diary, so it wasn’t all beer and skittles!!! We then ferried across the estuary to Paulliac, the famous left bank town, home to 3 of the top 5 growths. 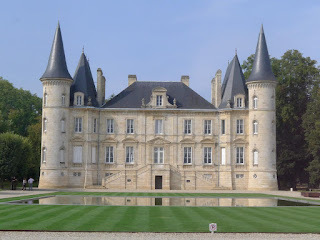 We organised a few chateaux tours to get a taste of these wines, many of which we can’t afford to drink or don’t have the ability to lay down, however we managed to purchase a few for drinking. It was such a thrill to zoom around on the scooter pointing out famous landmarks that I’d only read about. “Ooh there’s La tour,” and then “there’s Chateau Lafite” and so on. The 1er Cru are not open to riff-raff like us but many of the others are open and welcoming and will happily show you their operations and open their precious wine. The town of Paulliac itself is immensely disappointing, with an air of being unloved and unkempt. The region oozes money, you can practically smell it, but town looks like it would not be out of place in a Mike Leigh movie. 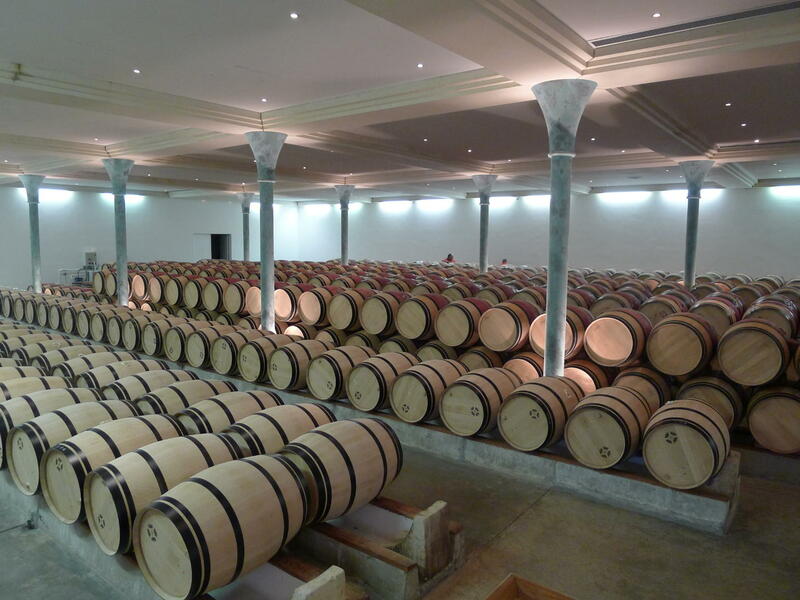 After filling the wine cupboard to bursting point, we drive south to town of Bordeaux itself. It’s quite a grand city, with beautiful buildings and elegant streets. Most of the city centre is banned to traffic, so walking and browsing is a breeze. The tram system is wonderful, and zips around whisper quiet and efficient. 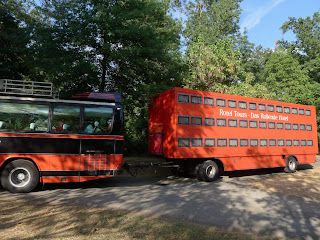 We arrived for the weekend when all the key buildings were open to visitors free of charge. This gladdened Lawrence’s Scottish heart immensely. According to the members of the jury judging Bordeaux wines submitted under the (then) new 1855 classification, “the Wines of Bordeaux give tone to the stomach, while leaving the mouth fresh and the head clear.” I am yet to see the evidence of this, and could almost be a perfect specimen to argue the opposite! Deciding that our livers had enough for the time being, we headed to the coast near Arcachon. This morning we went to France’s most important wetland bird sanctuary and spent 14 euros to look at a lot of ducks. Personally I prefer my ducks Confit, nice and crispy, with a green salad. Actually we also saw a large flock of Spoonbills which was rather lovely. We are now ‘on the wagon’ for 4 days, to give our livers a good rest before we get into our stash in the wine cupboard. We bought so much wine, we had to buy a new trailer!! !